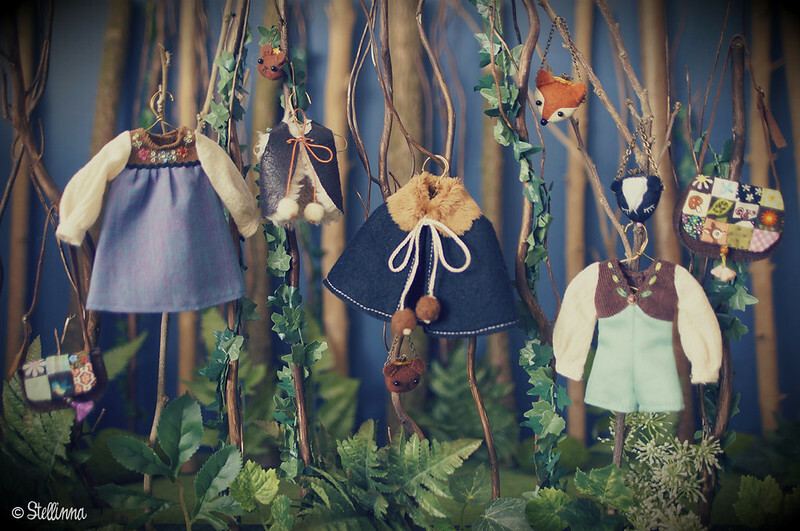 and here is a preview of some of the items from my Forest Folklore collection. 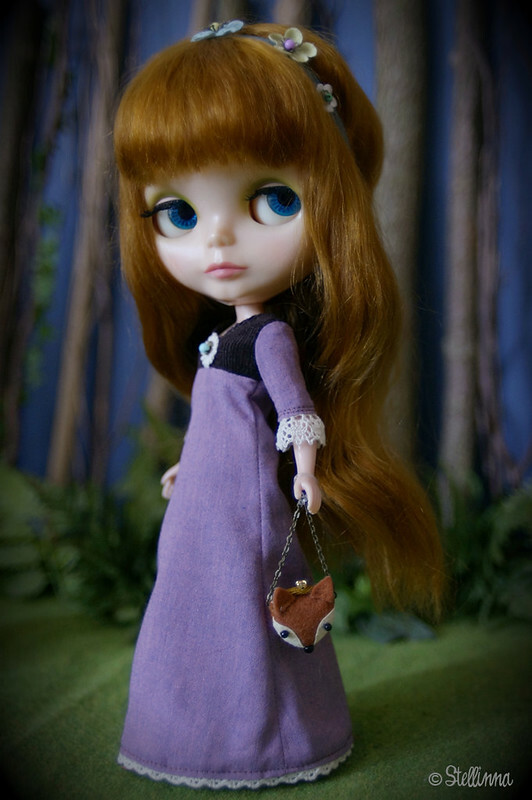 Along with my usual Folklore dress sets, it will also include a new "Page Playsuit" set with embroidered V front neckline and poet sleeves, a cape set which can be mixed and matched with all the other items, and some purses...for Blythe, Dal and JerryBerry dolls. 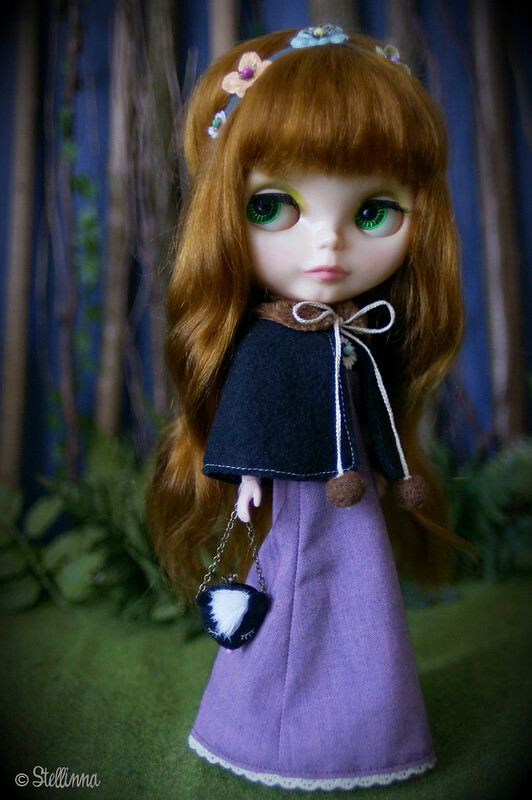 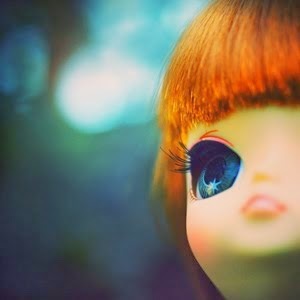 The tiny ones are not forgotten, Middie Blythe and Secretdoll sets will also be available. 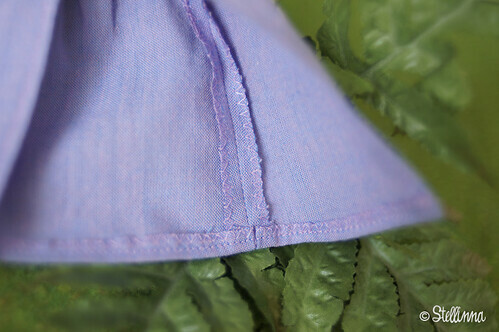 ... and the dress sets will come in many new colours ! 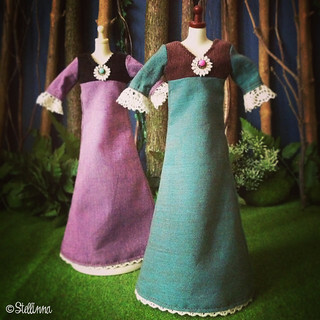 These dresses are made with shot cotton, which is a wonderful fabric woven with two different threads, creating a very interesting iridescent look. 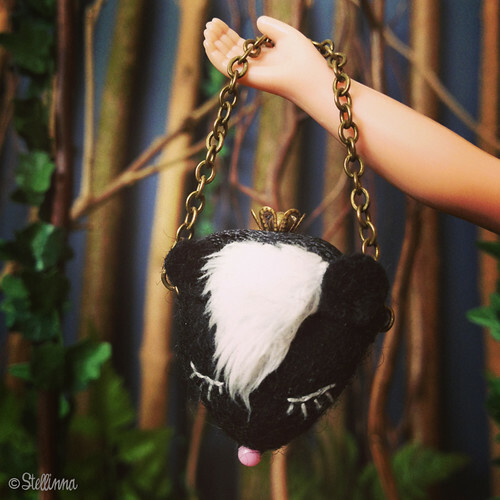 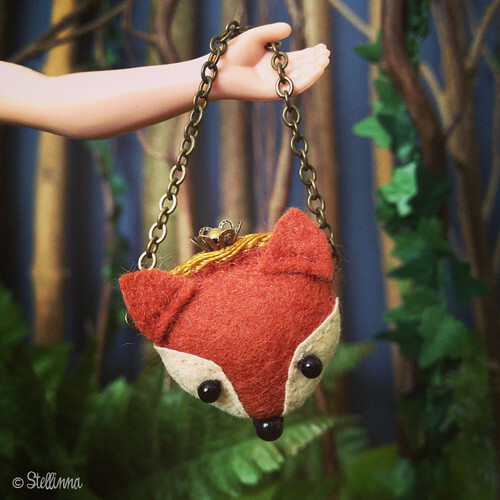 I have been working on a new purse which I am very happy to present, the tiny skunk purse ! 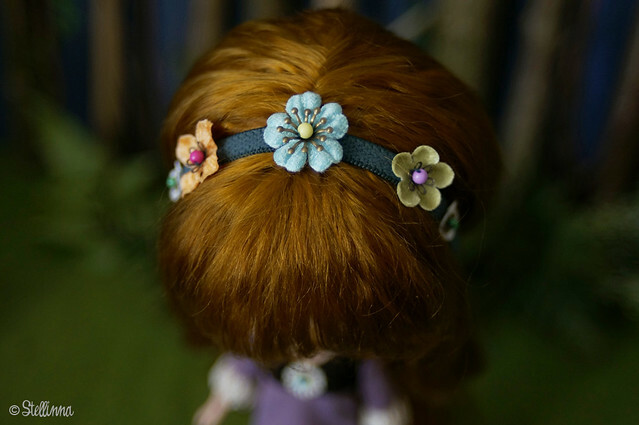 You can comb the hair and make it all wild and punky if you want. 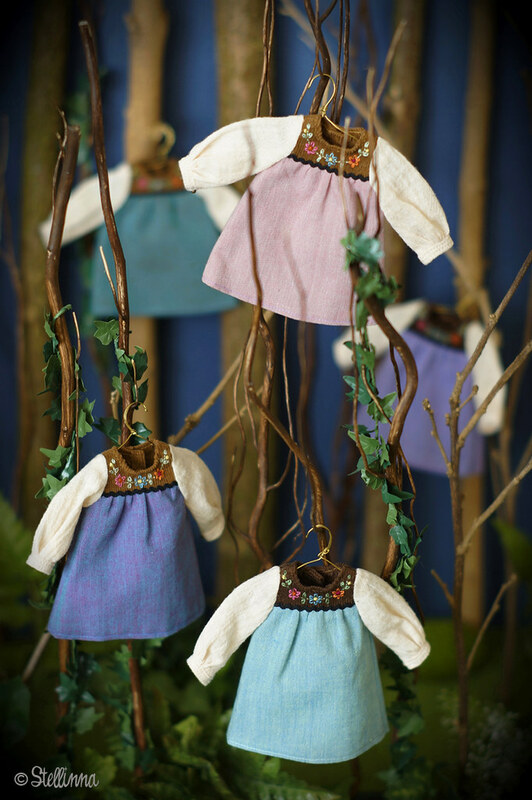 These are entirely handmade and all the pieces are sewed together, there is absolutely no glue whatsoever !